St Andrew's Nursery offers a wide range of activities daily which cover the Curriculum for Excellence. Within our sessions, children get the chance to make their own choices, gain knowledge and understanding, develop independence and learn how to work cooperatively and on their own. It is also important for children to learn to listen to each other and be considerate to their peers and adults. To help achieve this we have registration, story and discussion time, singing, and small group work. We encourage children to share, take turns and be respectful of others work. We also promote a healthy lifestyle and to help us achieve this we have in place routines for hand washing, a tooth brushing programme, a three weekly snack plan and regular outside play. A wide selection of equipment is within this area so that children can explore size, measurement, use mathematical language, problem solving, developing senses awareness through ingredients added such as scents, bubbles, glitter, etc. In this section children are given a wide selection of paper and utensils to encourage their creativity. On occasions, themed items may be added to help children explore a specific theme or subject, such as transport vehicles to make tracks, or conkers and fir cones for a natural materials theme. This area has a cooker, a wide variety of crockery, cutlery, cutters, and implements to help the children explore this medium. To this area, we also add scents, different kinds of dough/clay so that children can develop their senses. Within our room we have a specific writing table for children to explore their mark making. 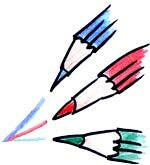 We provide pens, pencils, chalks, crayons, and a large variety of papers, card, envelopes, forms, etc. We also have in every area of the room some form of mark making; this could be diaries, calendars, phone books, or notepads. Within our book corner we provide a varied selection of stories to cover the various ages and stages of children. We have factual books, such as encyclopaedias, informative books on caring for pets, the jobs people do, magazines that relate to interests of the children, such as train magazines. We also have in this area our Bobby Bear Diaries so that the children can look back at their adventures. We also have tape/CD books so that the children can use the listening centre. We display books in all areas of the room so that children can look at them spontaneously. Each week we have nine different fine motor activities for the children to choose from. These are a mixture of threading, pegboards, small construction, sequencing beads, build and play toys etc. These are rotated over a six-week period. Here the children can be experiencing problem solving, gaining an understanding of colour, shape, counting, learning about safety, and developing hand/eye co-ordination. We provide in this area a range of plate trays, jigsaws and games for all ages and abilities of children. Here children are learning to play co-operatively, take turns, share resources, listen to each other, problem solve and learn about colour, number, counting, shapes and a whole variety of other areas depending on the items that are out for their use. These are changes throughout the week depending on the children's needs, what they have asked for, etc. We have in nursery two computers for the children's use. We do not have Internet access so children are secure when using this equipment. We provide a variety of ICT equipment within the room, whether it is tape machines, CD players in the Book Corner, microwaves and toasters in role-play, or using the fridge or cooker in organised small group work. We provide an area where children can be creative with a large variety of modelling materials. Here children can create their imaginative ideas and develop their fine motor and problem solving skills, through scissor use, trying out together the various items, etc. On occasion, the children are given a directed creative task to try and achieve, for example Mother's Day cards, and even though this is a specific task, the children are encouraged to be creative and put their own stamp on it. The activities within this area develop children's fine motor skills, turn taking, working co-operatively with others, their language skills and develop the use of their imagination. In this area, we have items such as a Playmobil park, house, trains, cars, dinosaurs, farm animals to name but a few. The children choose the items for these areas on a weekly basis from a photo book that we have developed. We have a varied selection of construction equipment that is suitable for various levels of development, from magnetic blocks to intricate 3D gears and tools. Children can design their own creations and use reference materials to enhance their learning. We also have large construction for use during outside play or in the larger hall. Construction is good for developing hand-eye co-ordination, problem solving and co-operative play. We have a wonderful new garden area that is our designated outdoor space. The equipment that we have for this area covers many of the indoor pursuits that are mentioned above. It also includes a mud kitchen, music wall, minibeast towers and is being constantly reviewed and new areas being created, our most recent was a den. We also have a wide selection of ride-on equipment, slides, trampoline, hoops, bats, and balls, to name but a few. We have use of a large upstairs hall if weather is not permitting outside play. Here children are developing the many skills already mentioned in other areas, and they are also getting the added benefit of nature and weather activities, and a feeling of well-being in the outside environment. As mentioned above we can use this area for most of the outdoor equipment. We also use this area for music and movement, singing and dancing, games and sports activities. Children are developing their creative side, using language in play and working co-operatively with others. Children are encouraged to be independent in the nursery. We do this through hand washing routines, tooth brushing, toileting, dressing, getting ready for outside play, dressing up clothes and through our snack routine. It is important for children to feel proud of their abilities and we give positive praise daily as the individual child reaches and exceeds their goals.